Porcelain veneers use tooth-colored porcelain to cover the front surface of teeth in order to conceal imperfections or improve their appearance. They are bonded to teeth to create a strong, durable finish, and the porcelain not only reflects the light naturally but also resists stains unlike natural teeth, which tend to absorb stains over time and suffer from enamel loss. Our specialist for porcelain veneer in Torrance can help you determine if you are a candidate for porcelain veneers. Our Torrance porcelain veneer dentist can use porcelain veneers to correct a wide range of cosmetic dental issues, including teeth that are worn, chipped, broken, misaligned, uneven, gapped or misshapen. Porcelain veneers can also improve the appearance of teeth that are stained or discolored due to fluorosis, trauma to the tooth, tetracycline or other medications and large fillings. The procedure for receiving porcelain veneers can require between two and three dental visits. You will need dental appointments for evaluation, preparation and application. Our specialist for porcelain veneer in Torrance will talk to you about your treatment goals and work with you to determine the best way to achieve those goals. Your teeth will need to be strong and healthy enough for dental veneers. In order to allow for placement of the new veneers, your teeth will need to be prepared. A small amount of enamel will be removed, and your teeth will be carefully shaped. Dental impressions and images may be taken to ensure your new veneers fit well. 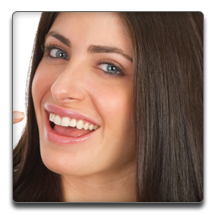 Temporary veneers may be placed to protect your prepared teeth and prevent sensitivity. You will return in one to two weeks once your new veneers have been made. Our Torrance porcelain veneer dentist will check your new veneers for fit and color. They may need to be trimmed, and the color may need to be adjusted to your specifications. Once the look is just right, special cement will be applied, and the veneer will be bonded to your teeth using a special light. If you are ready to learn more about how porcelain veneers can give you a bright, beautiful new smile, contact our Torrance cosmetic dentist today and schedule your consultation.